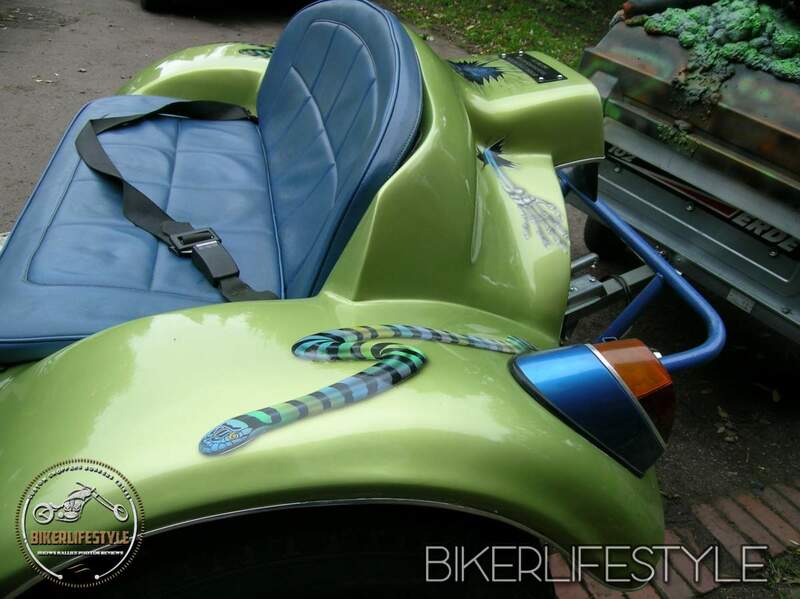 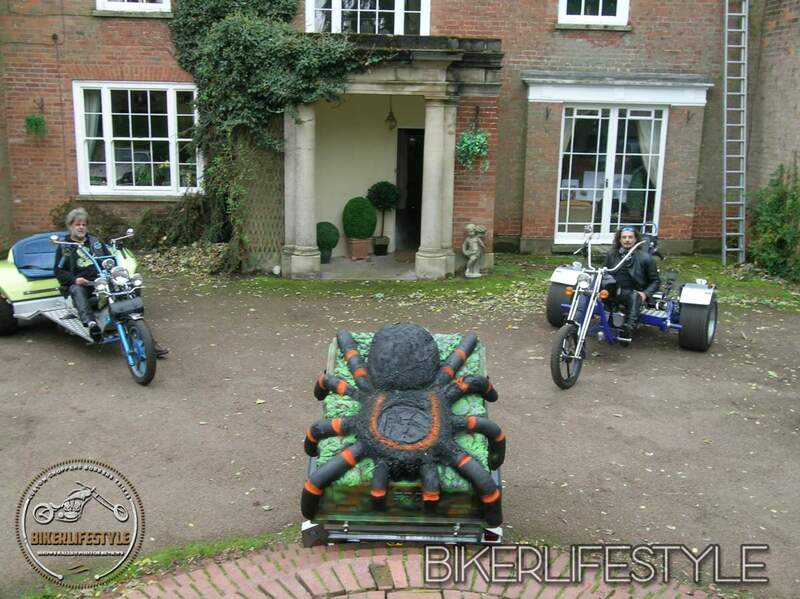 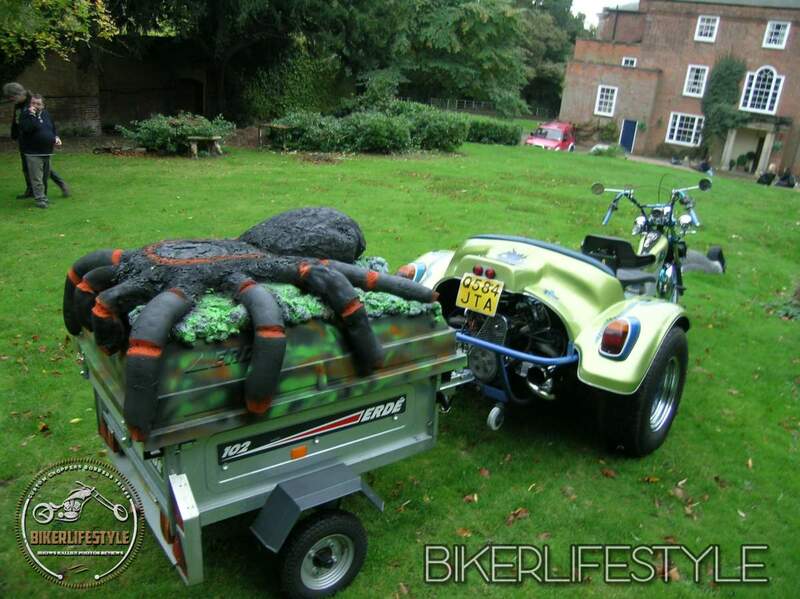 The owner of this trike is an animal lover and works with reptiles, he keeps an Iguana, 7 Tortoises and 2 Bearded Dragon at home as well, so to say he was fanatical may be a little understated. 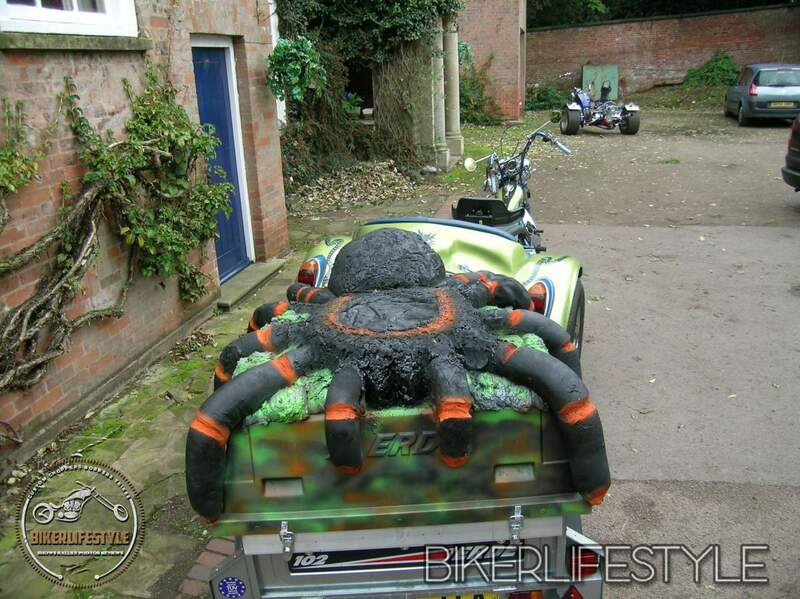 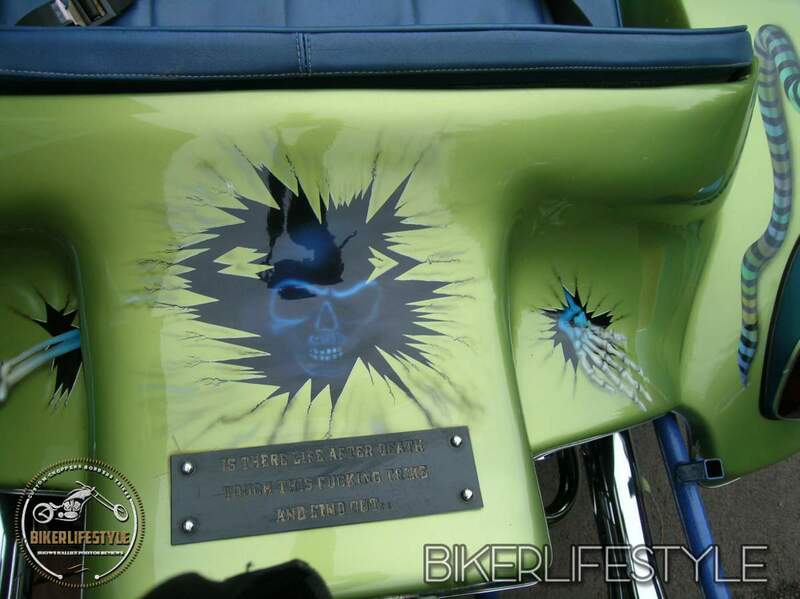 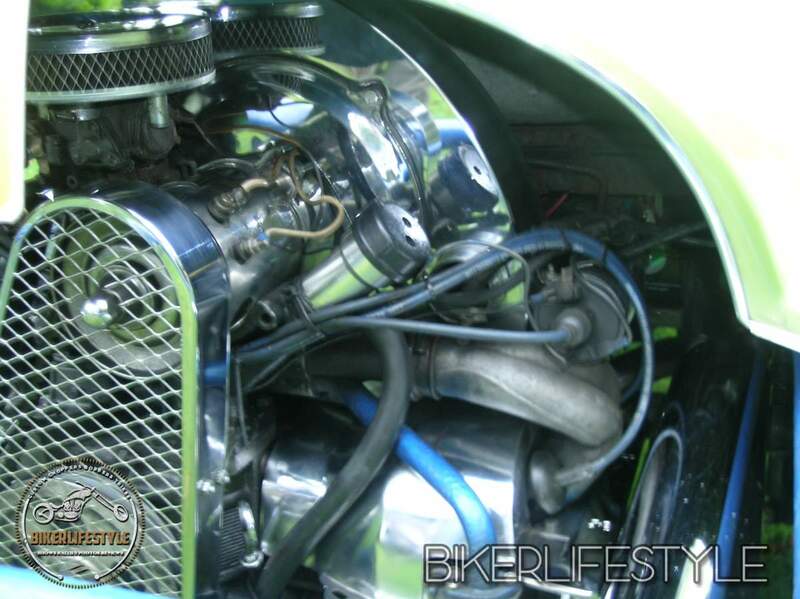 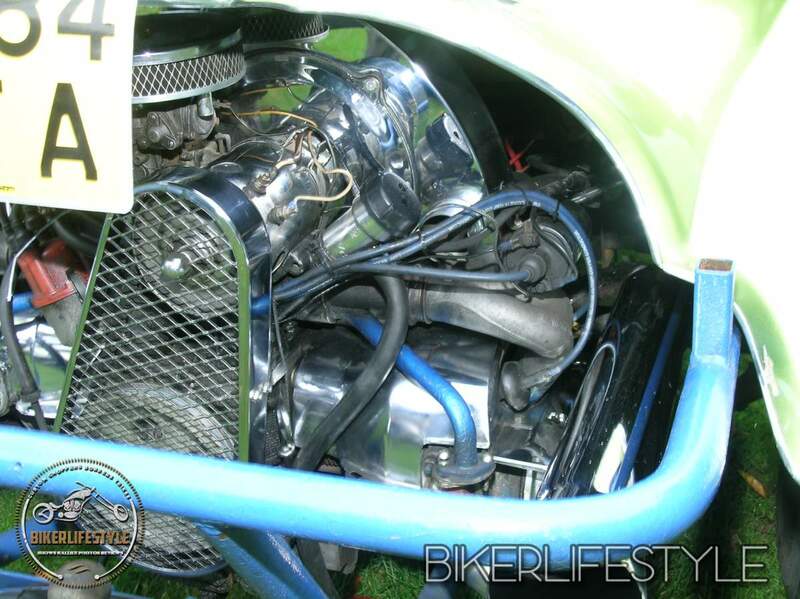 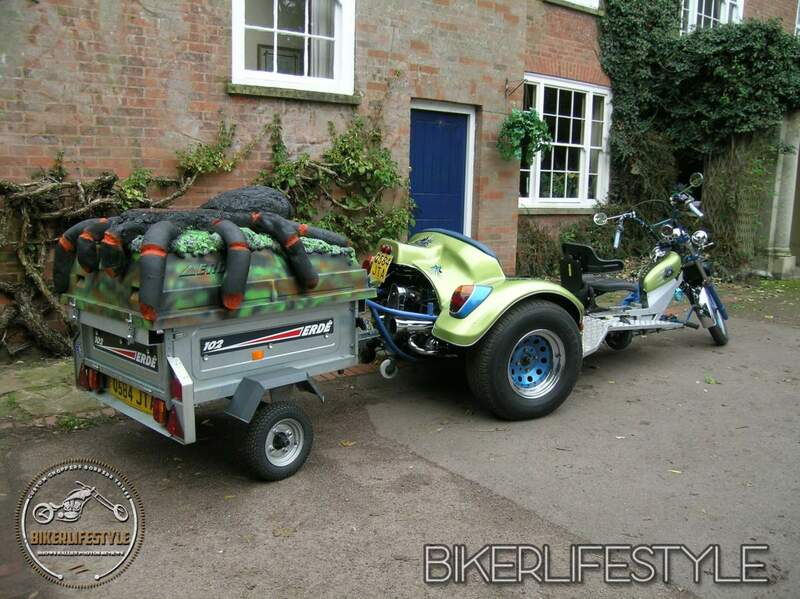 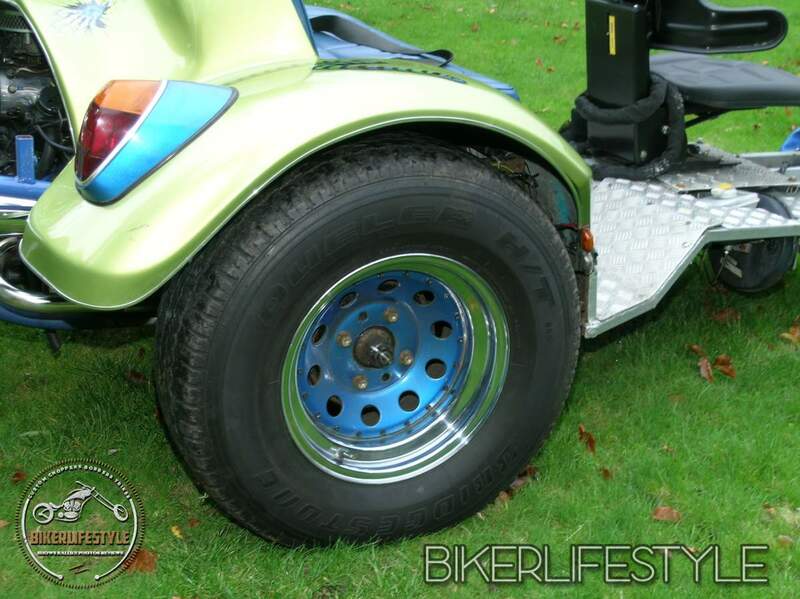 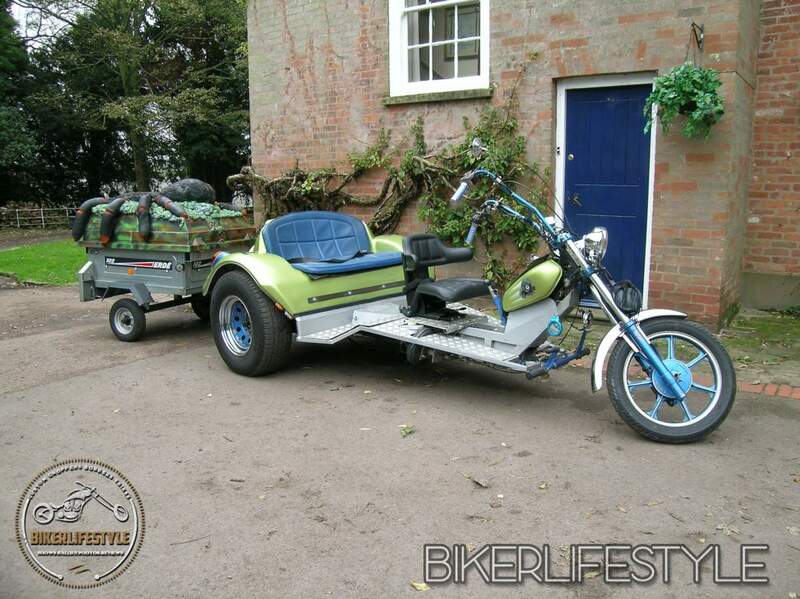 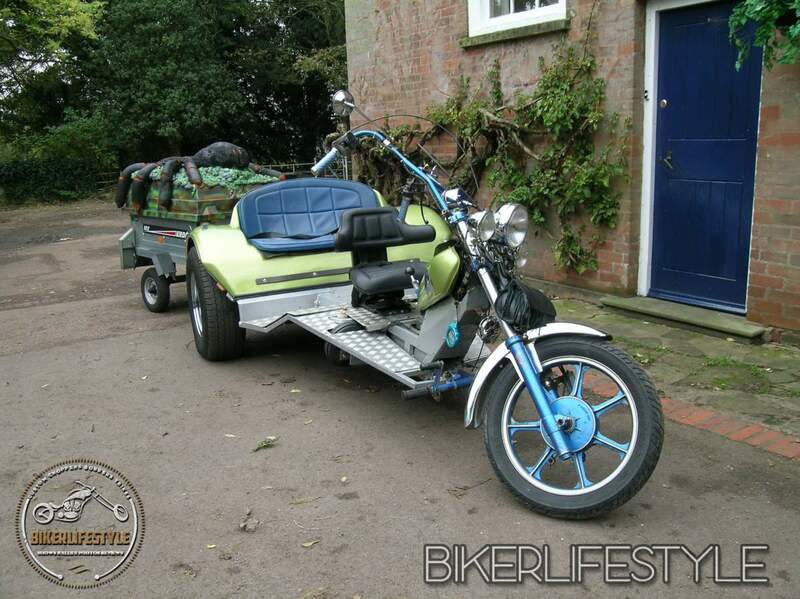 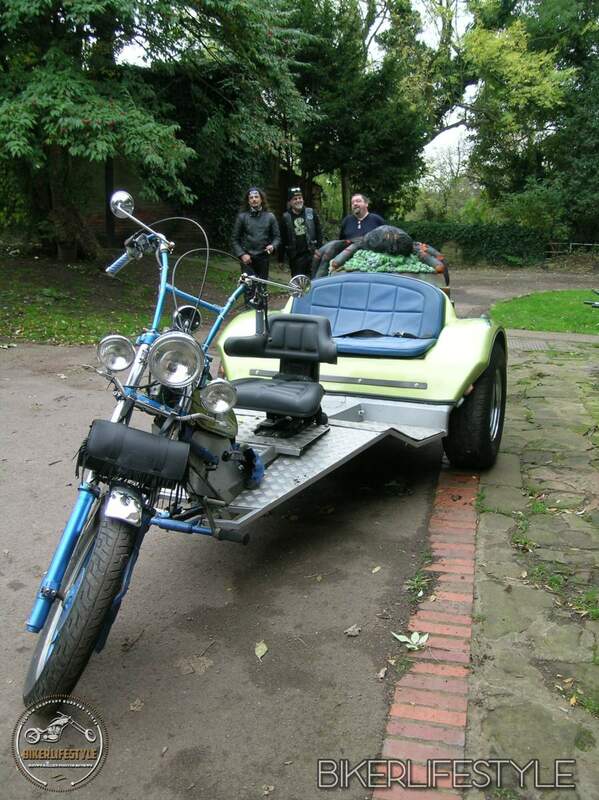 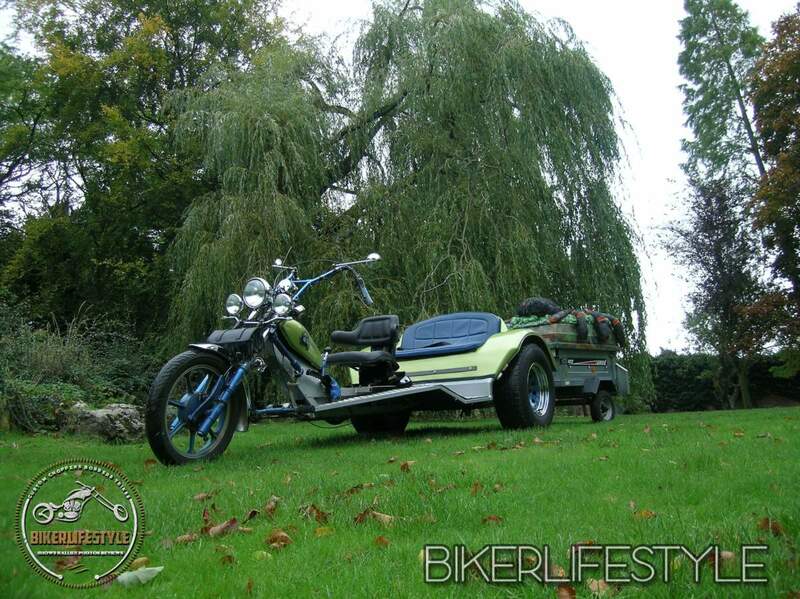 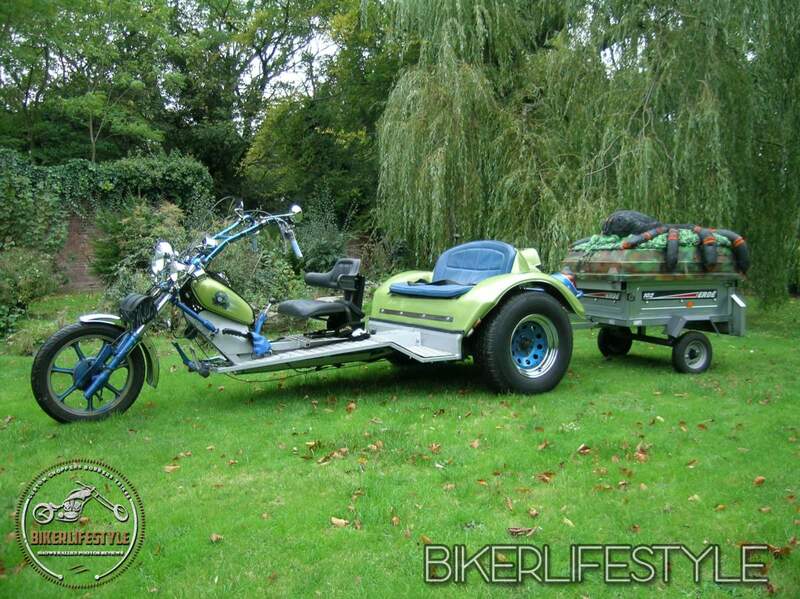 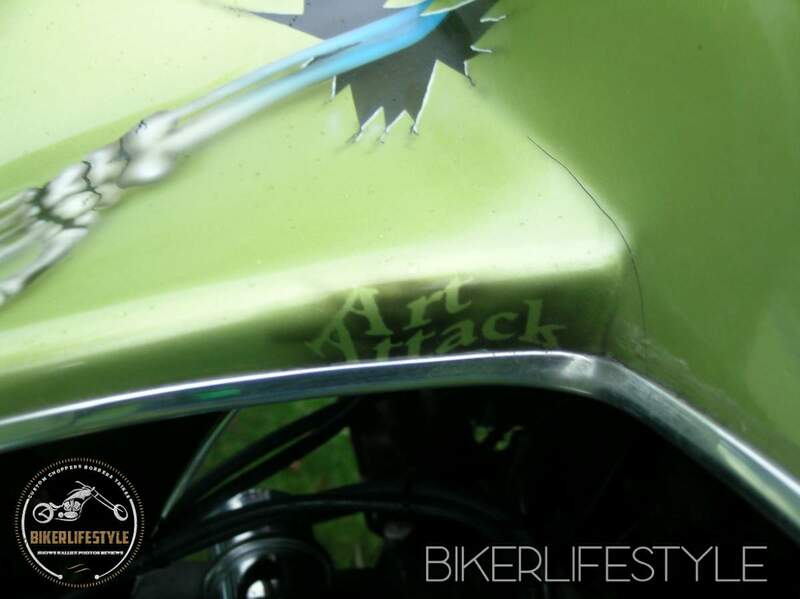 The trike uses a 1972 1600 VW Beetle lump with a full engine dress kit and straight thru’ cannon exhaust along with the chassis of the same 1972 Beetle, attached to the ends of each axle are Suzuki 4×4 rims with 265x70x16 tyres, rear stopping power is courtesy of the VW drums operated via a Ford Granada servo. 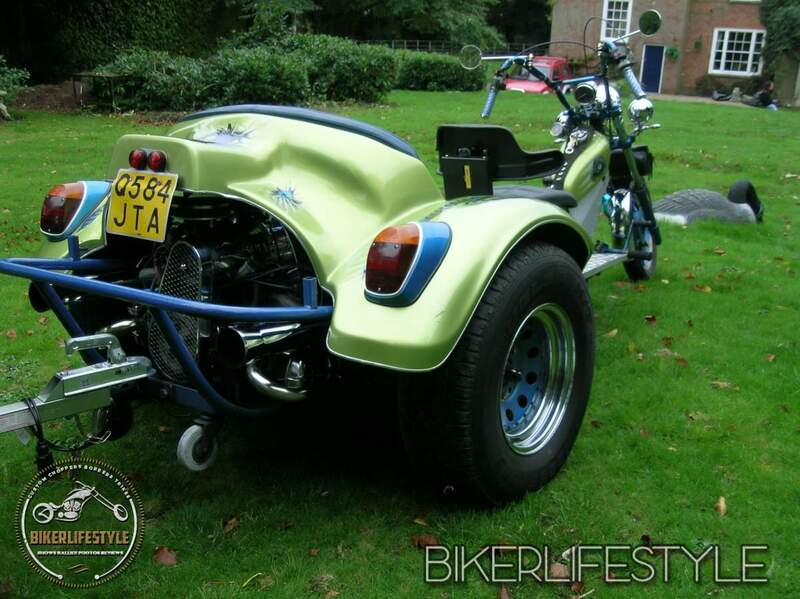 Front end is off a Kawasaki Trials bike 36” forks mated to a 19” wheel with twin leading brakes and a pair of one off bars. 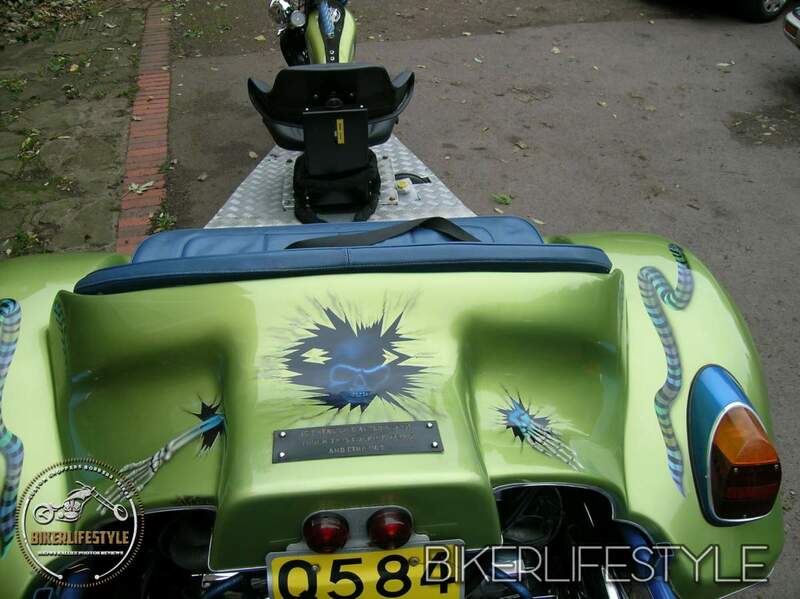 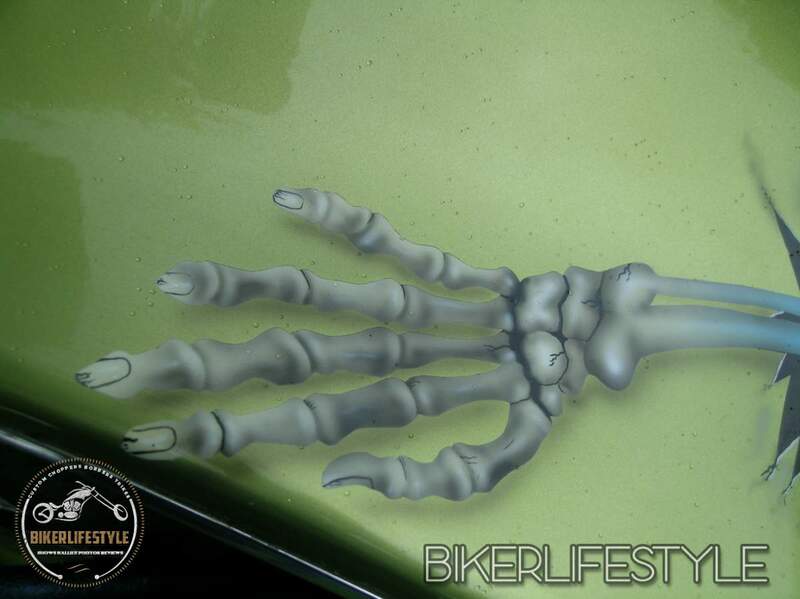 now onto the bodywork, the bodywork is a modified Baja (pronounced ‘Baha’ for the uninitiated) back end, dummy petrol tank, this was painted up by ‘Art Attack’ and has a skull on either side of the dummy tank, along with a skull and skeletal hand are the far back of the Baja section, with a large snake on each mudguard. 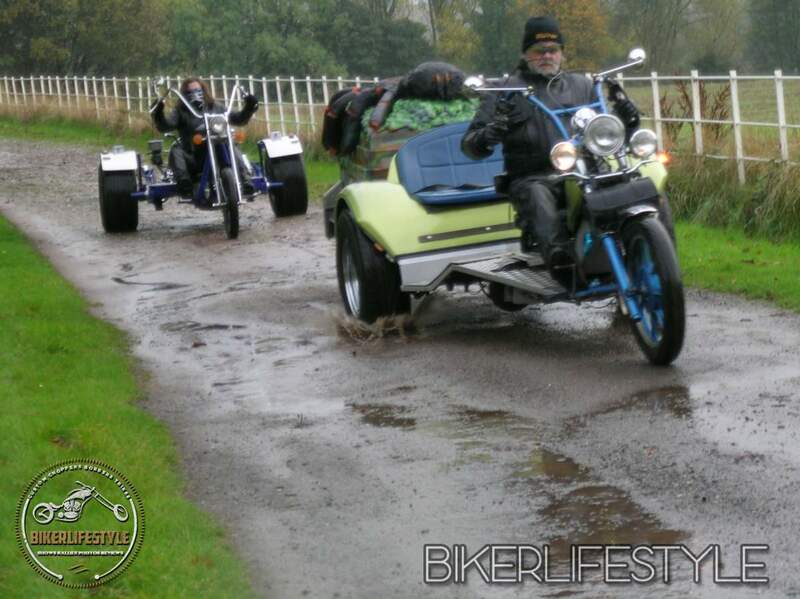 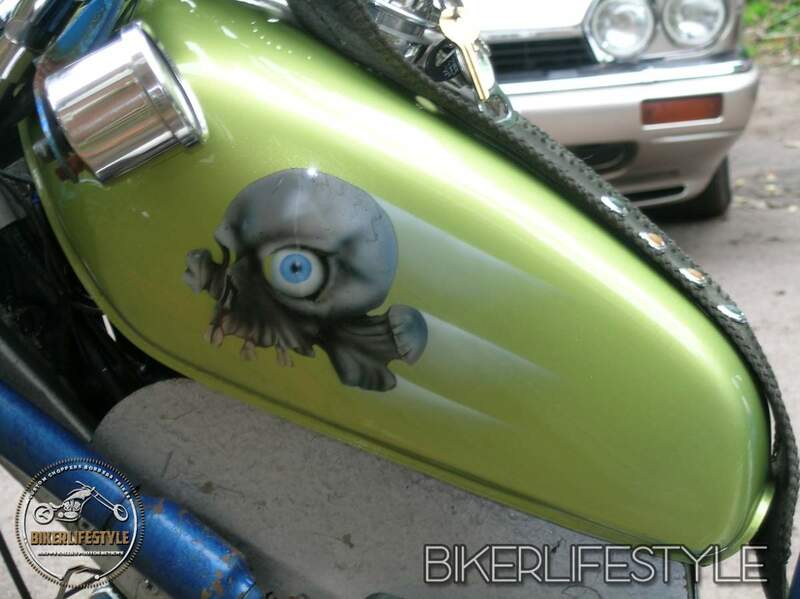 Dave purchased the trike earlier this year as a running trike, bus alas the gremlins attacked the electrical system with zest, Dave then had to have the dynamo re-built, ignition re-wired, new Battery and finally a new voltage control regulator. 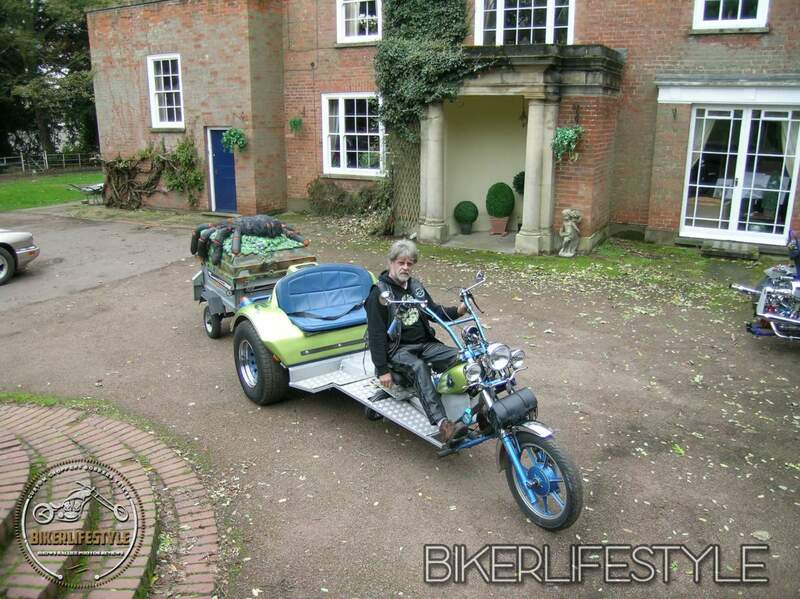 Following on the electrical side of things the existing lights were -200 candle power and actually darkened the night, so it was decided that real lighting was in order so a 1 large and 2 small bates headlights allowed him to brighten up his life (I know it’s a bad joke but someone had to say it). 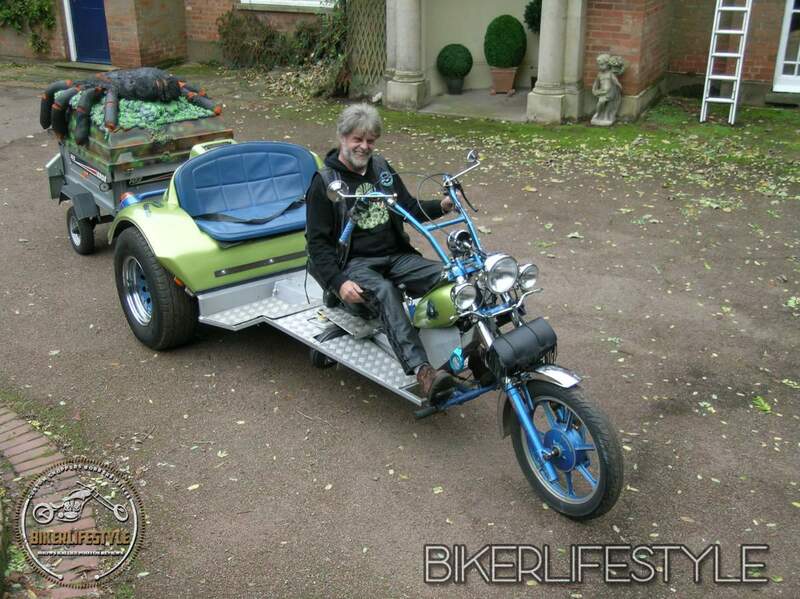 Many hours of sweat, swearing, measuring and cutting went into a chequerplate flooring that Dave was happy with, sitting atop of the chequer plate is a hydraulic and spring balanced Tractor seat which was found on good ol’ eBay, and Dave loves the ride position and comfort this seats adds to the trike. 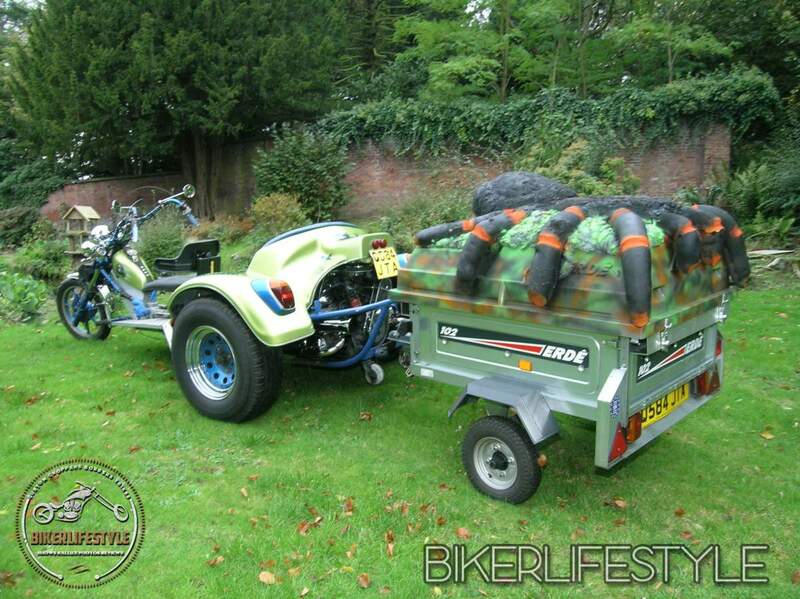 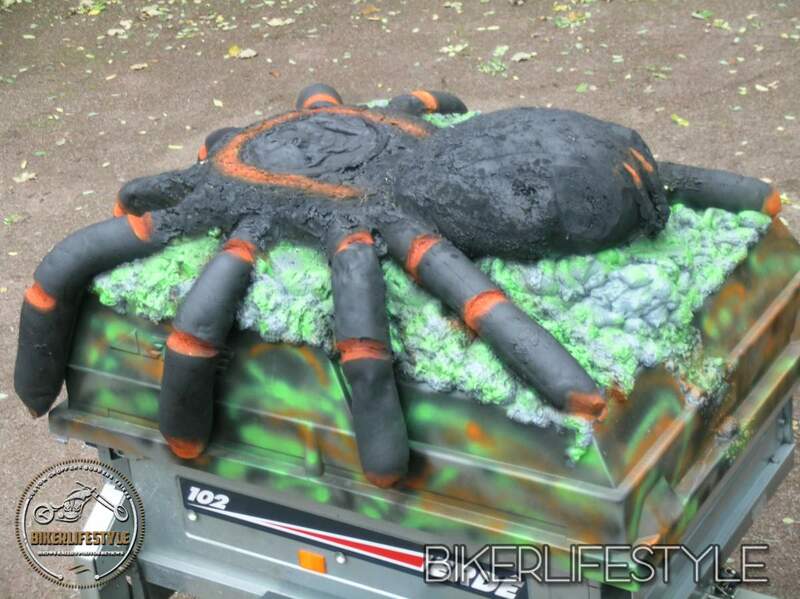 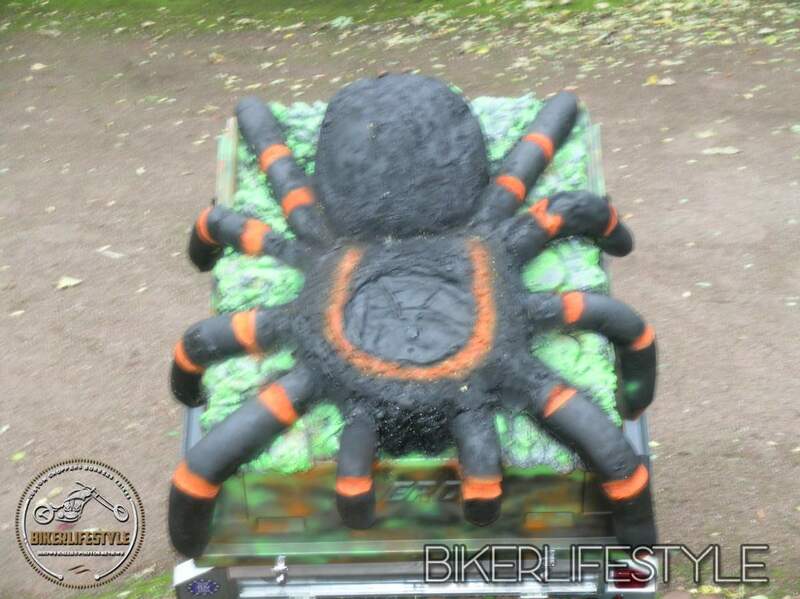 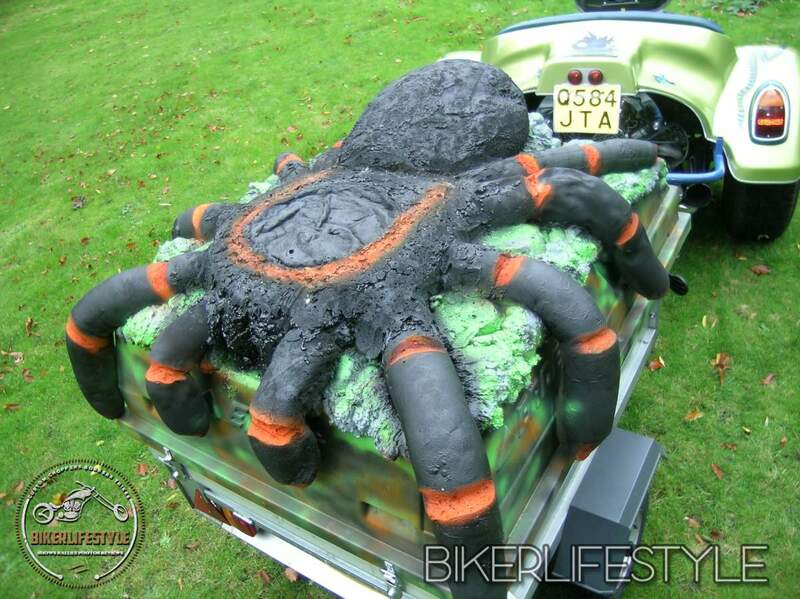 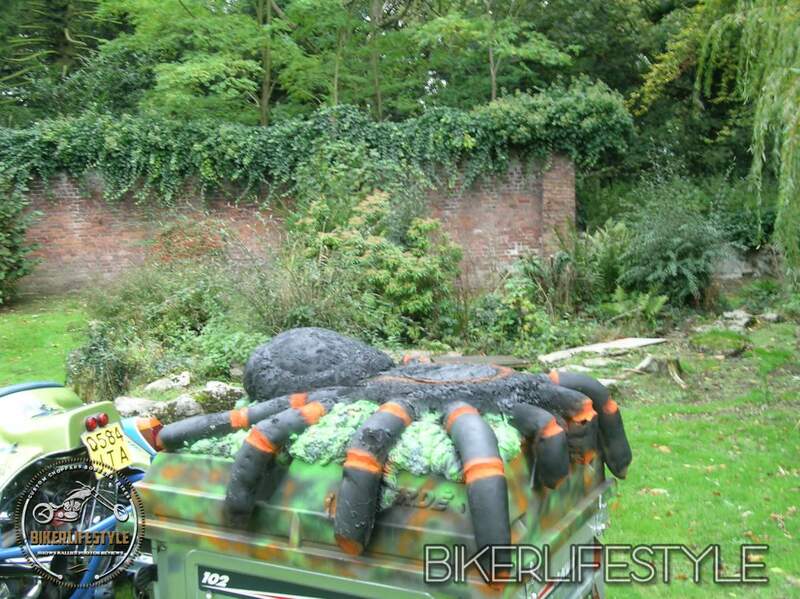 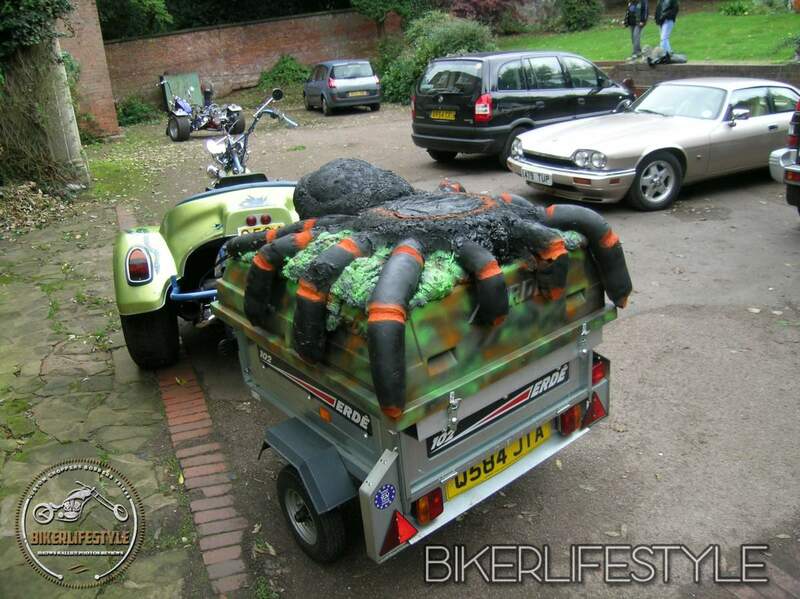 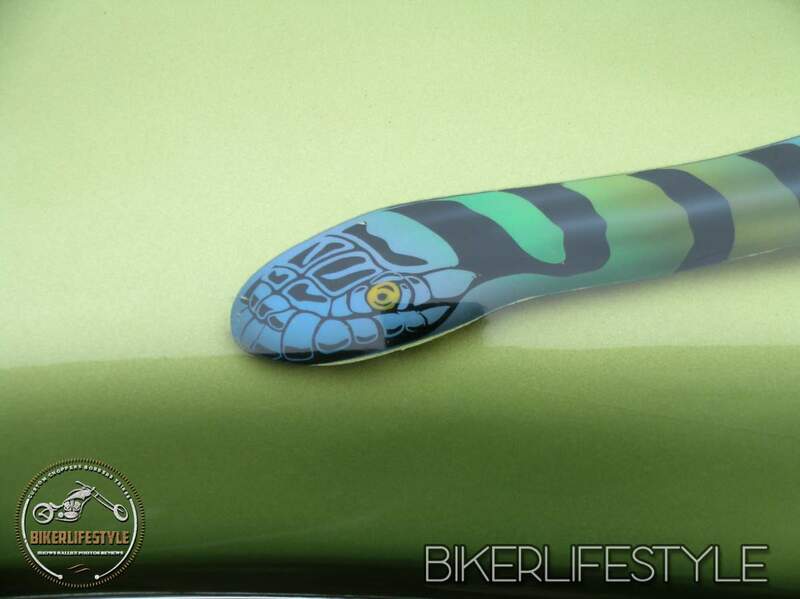 The trailer started life as a standard Erde 102 with a 122top, now Dave was inspired by Trikergals VW trike with coffin trailer and felt that his trailer should reflect his interests, and after much consideration he came up with the tarantula looking out at the traffic behind, a snake one was considered but decided that it could prove a tad troublesome, now here is the interesting bit, the top was modified using dog toys, a tyre, 4 pairs of tights and a can of expanding foam it was created by Jim Wick and Dave the main body used the tyre as its structure and the bottom end is stuffed with dog toys to give it some height, the legs were created using the tights, and the the expanding foam was used liberally throughout to create the tarantula, it was then painted up and is what you now see here, there are a few modifications that Dave wants to make to the trailer and that is to build the head bit up and insert LED eyes that light up when he brakes, It wasn’t until after it was created that Dave realised that they had built it on the wrong sized top for the trailer, and then had to adapt the body so it would fit.